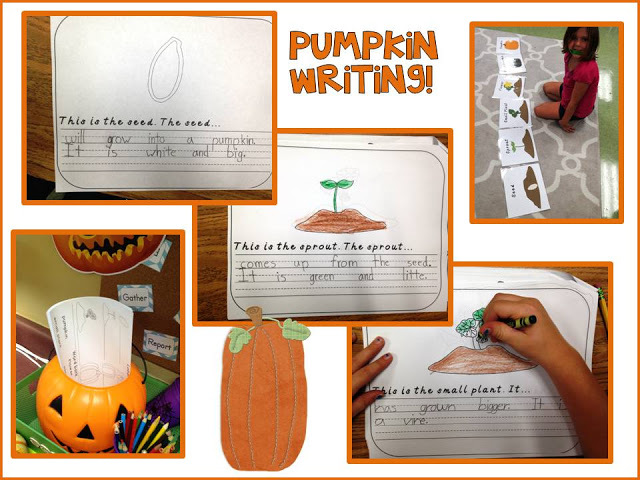 Thanks to two bloggy friends I have had a great week teaching all about pumpkins! 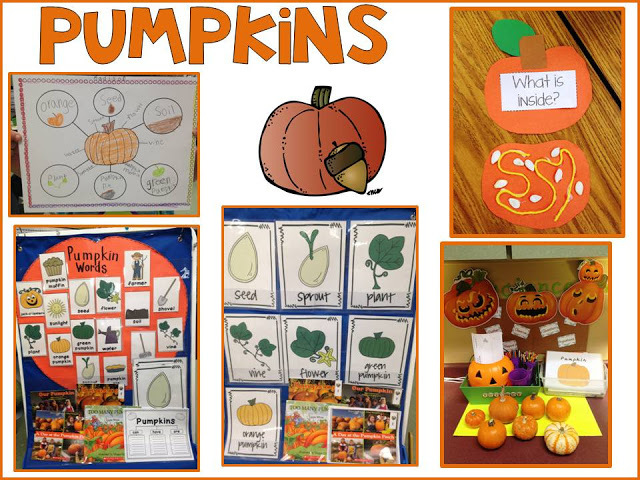 These are some highlights from Alisha’s All About Pumpkins Unit! It’s been wonderful this week! 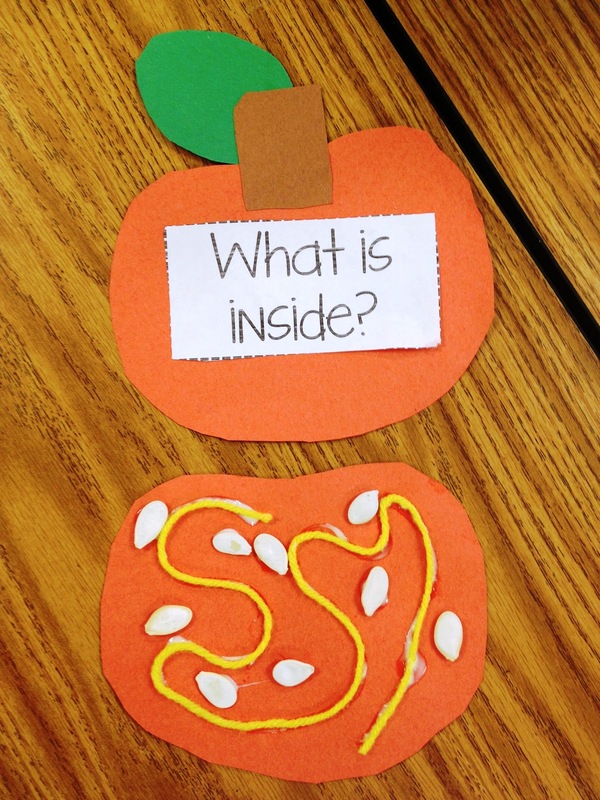 I also used Tanja’s Pumpkin Palooza Unit as well! 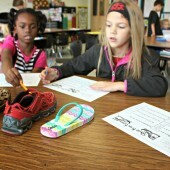 Both units are FULL of easy to use and meaningful activities! Thanks for making my life easier ladies! 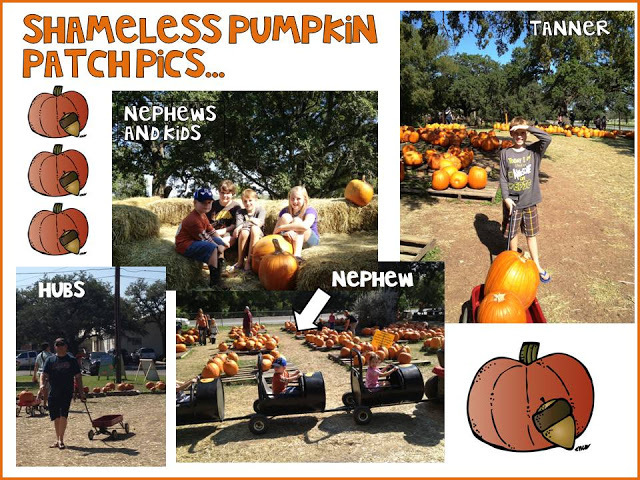 All the talk of pumpkins may have influenced us to take the kids and newphews to the pumpkin patch! 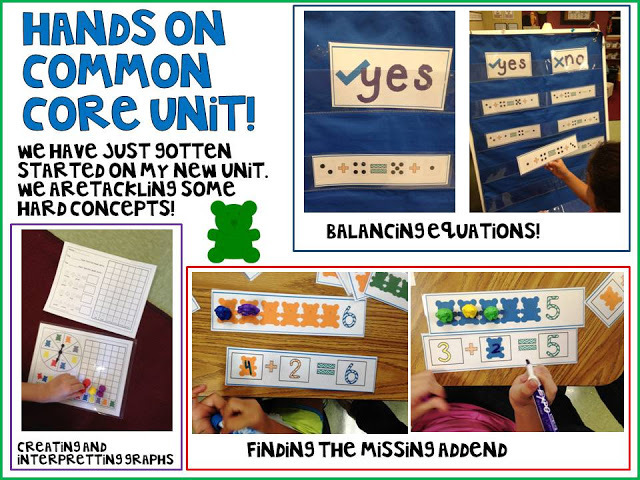 Another unit we started this week was my Hands on Common Core Unit. This is what we were doing when my principal came through today and I got a thumbs up with raised eyebrows…haven’t seen the actual report, but I’ll take the body language as a good sign! These are the 10 centers you will find in the unit. 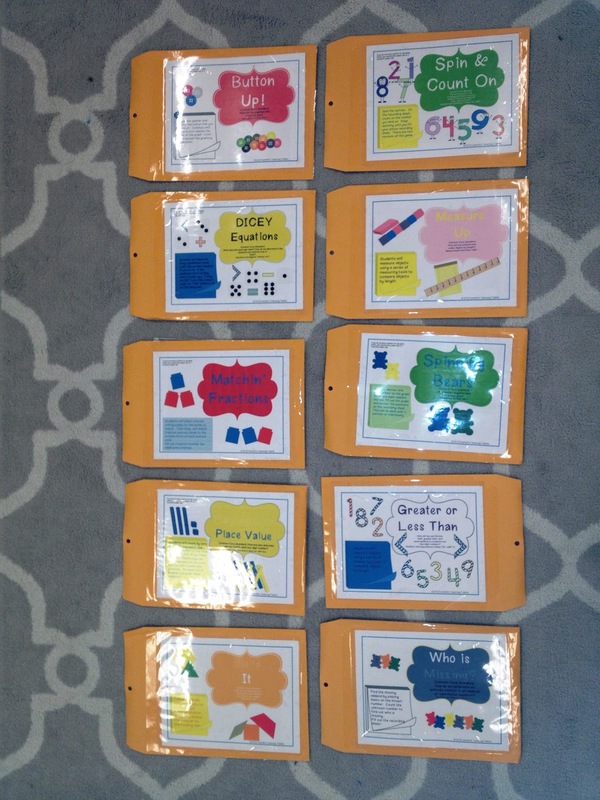 So sorry for the obnoxious laminate glare…I admit everything in my classroom that can be put through a laminator gets laminated! I love my shiny plastic lessons. 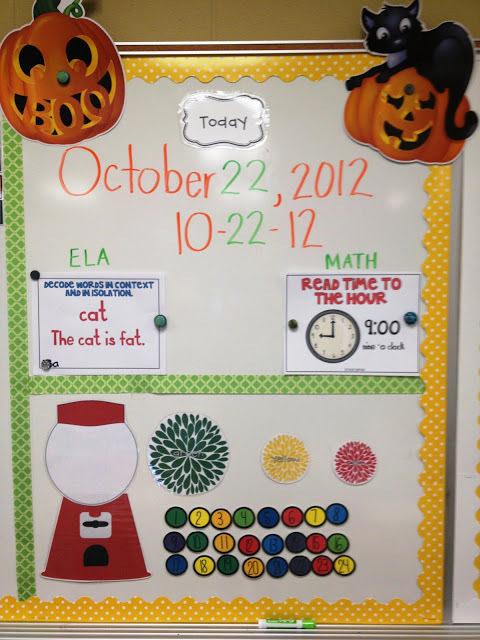 Are you required to have an objective on the board? 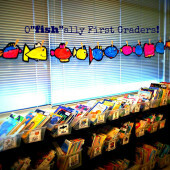 We do for ELA and Math in first grade. Since my students can’t read the objectives, I created these objective charts for our standards in first grade. And I am so glad I did. Remember when my principal walked through? (powerwalks anyone?) There were my cute objectives charts! Yippee! (Hey I just realized they aren’t plastic and shiny! 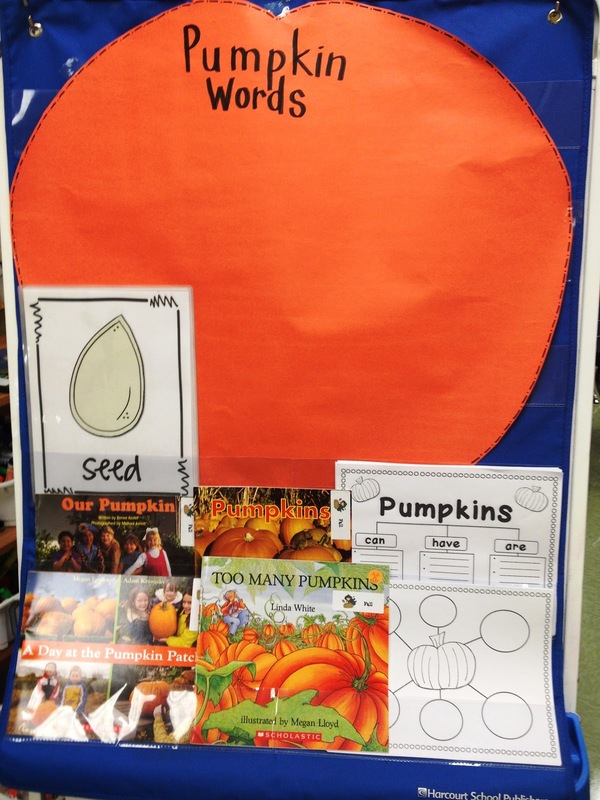 Looks like I am going to need that laminator key in the morning…) Do they lock yours up too? looking to change things up. 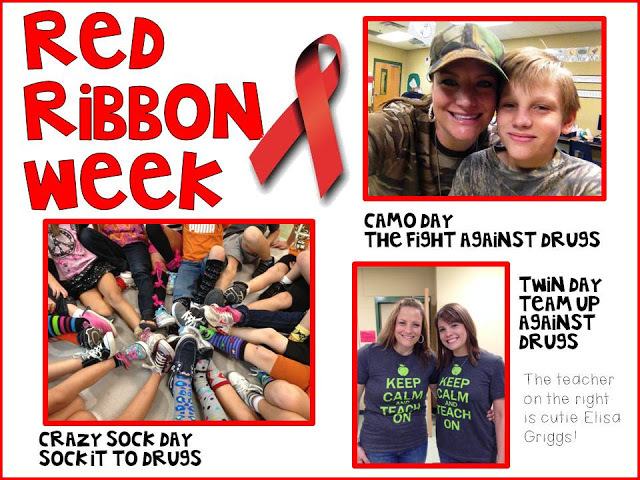 Finally I am on the downhill of red ribbon week. Nevermind that my fat roll is messing up the word teach in my picture…I am sure I have at least 10 years on cutie pie Griggs next to me! I can always say I am young at heart!!! I love that you put the sheets in the pumpkin bowl! Too cute! Awwwwww….I love me some Mrs. Griggs! So glad she ended up at your school! BUT I MISS her! My kids are currently doing your October math centers. Love your stuff! 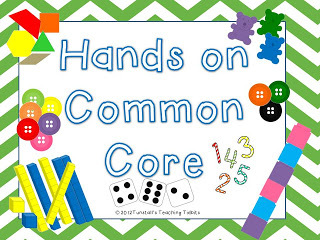 Love your Common Core Hands On! Looks super engaging! 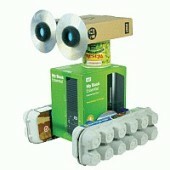 You have some creative ideas!! 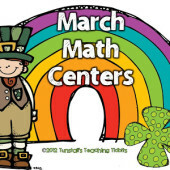 Loving your new Common Core Math Centers – those look like so much fun and full of rigor!! Wait, aren't you in TX? 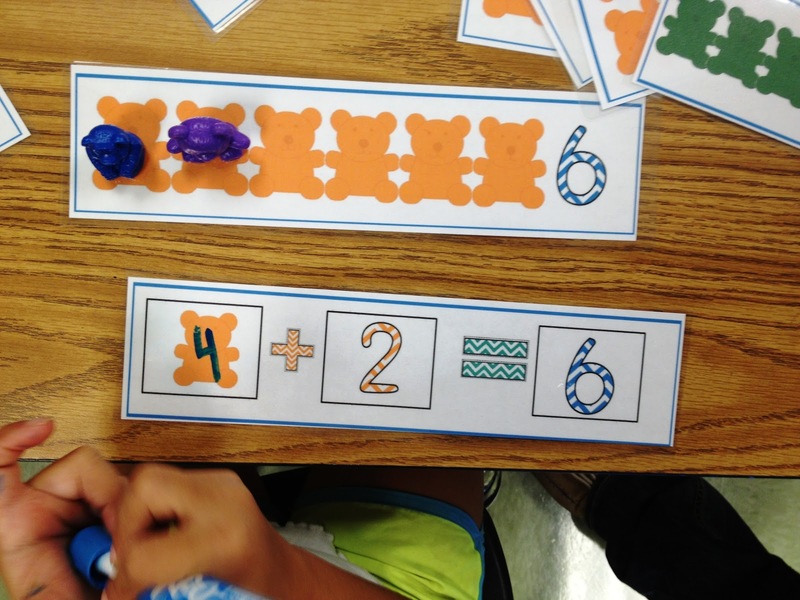 Do you use Common Core or TEKS?? ?